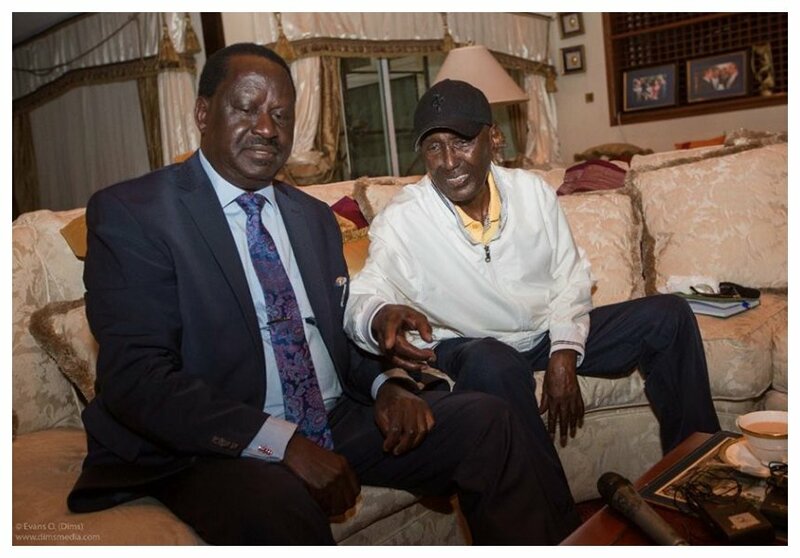 Raila Odinga paid Chris Kirubi a courtesy call at his Loresho home on Tuesday May 29th 2018. The billionaire, who has been sick for months, couldn’t hide his joy as he met Raila. “It’s historical for me, I have been unwell for a long time and friends have been coming to see me but it has never been great pleasure as welcoming Mr Odinga here. 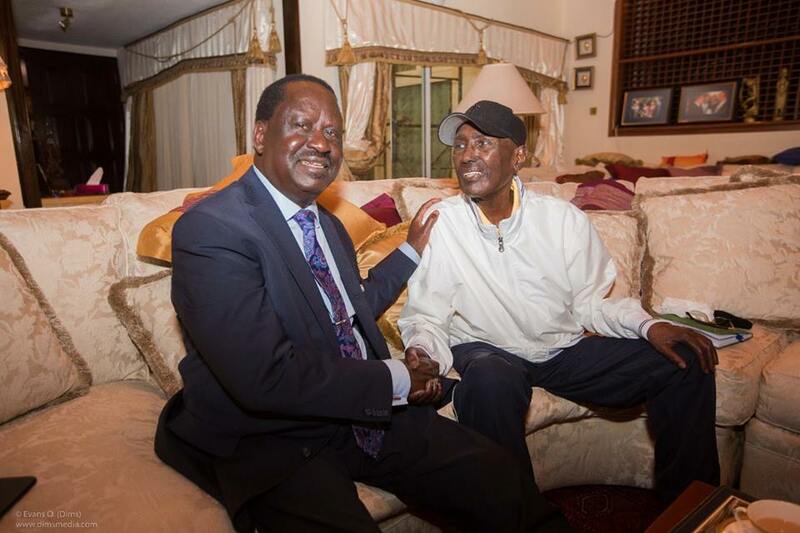 And I know now who are true friends of mine,” said Chris Kirubi during the meeting with Raila. Chris Kirubi stressed that Raila Odinga and Uhuru Kenyatta should leave a legacy of uniting Luos and Kikuyus who have differed politically since independence. “Kenya will go down in history because of your decisions to bring peace between tribes. To me the Luos and the Kikuyus joining hands there is nothing we can’t do in this Kenya. And I would wish that between you and president Uhuru Kenyatta you will leave us a legacy of joining those two tribes together,” CK told Raila. Chris Kirubi also told Raila that he would invest in Kisumu if he assures him of a lasting peace. The lakeside city is usually gripped with violence every electioneering period which scares Kikuyu investors. “Me I will be one of one of those who will come and invest in Kisumu by the way. But today I can’t because am scared that in 5 years there will be that destruction cycle. You know investors don’t invest in cycles, we want long term peace and that’s what you hold in your hands you can help Kenya to grow. Let us invest in Kisumu but we have to give confidence to people to come and put their wealth over there. It’s important to create jobs and investors like peace, if you want your people to get jobs please let’s have peace. If you have predictability, people know that their money is not going to waste everybody will come to Kenya,” said Kirubi.